Due to an overwhelming response, applications for our Earn and Redeem, Neo Celebrates programme, are now temporary closed till further notice. Thank you for your interest - do join us when applications are open again! Join our Mailing List and be notify! Neo Celebrates reserves the right to terminate the scheme, vary, add to, and formulate the terms and conditions including those relating to withdrawal or addition of the privileges as it deems necessary and may do so without prior notice. 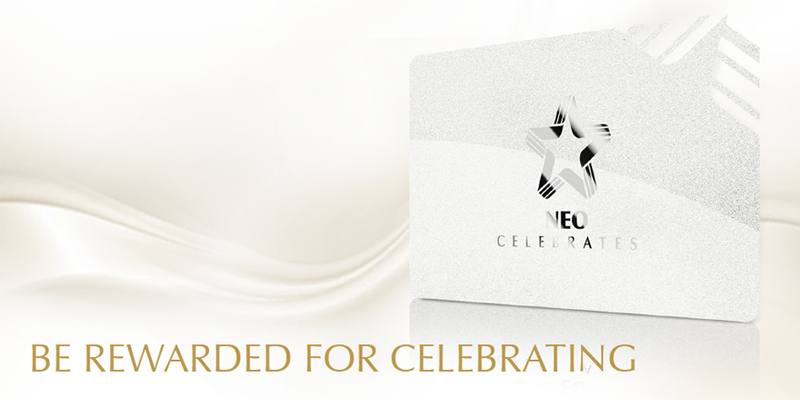 Neo Celebrates reserves the right to discard any information for requests that do not adhere to the requirements necessary for processing a membership renewal or registration without prior notice.